Dianne Newman, the Gordon M. Binder/Amgen Professor of Biology and Geobiology, and Victoria Orphan, the James Irvine Professor of Environmental Science and Geobiology, have been selected as MacArthur Fellows. The Fellowship is a five-year grant awarded to "individuals who show exceptional creativity in their work and the prospect for still more in the future," according to the foundation's press release. Fellows receive $625,000 over the five years and are nominated anonymously by leaders in their respective fields. 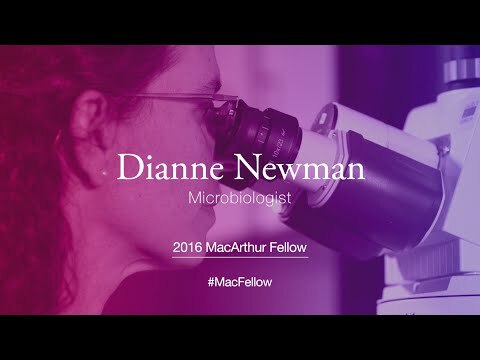 Dianne Newman's research focuses on microbial stress responses, with an emphasis on mechanisms of energy generation and survival when oxygen is scarce. The contexts that motivate her research span ancient sedimentary deposits to chronic infections yet are linked by similar physiological questions. She has demonstrated that some bacteria in iron-rich environments, such as soils and sediments, can utilize extracellular iron as a dump site for excess electrons by generating extracellular electron shuttles, including a class of metabolites formerly considered to be a kind of antibiotic. Newman has made contributions to our understanding of other microbial metabolic processes of environmental significance, including how microbes respire using arsenate instead of oxygen, and how they perform photosynthesis using iron rather than water. Because molecular biosignatures record the earliest history of life on Earth, Newman's mechanistic research has also advanced our interpretation of ancient molecular fossils. More recently, Newman has been working to bring tools commonly used in geochemistry to facilitate environmentally informed studies of pathogens in chronic infections. For example, in collaboration with Caltech professor of geobiology Alex Sessions and researchers at Children's Hospital Los Angeles, Newman's group characterized the composition and growth rate of pathogens in mucus collecting in the lungs of individuals with cystic fibrosis. With this information, her lab is using genetic and biochemical approaches to reveal how these organisms—such as Pseudomonas aeruginosa, an opportunistic bacterium that colonizes the lungs of CF patients and produces electron shuttles therein—survive and thrive in this environment, as well as others. Newman received her PhD from MIT in 1997 and joined the Caltech faculty in 2000 as the Clare Booth Luce Assistant Professor. She was awarded a Packard Fellowship in 2002 and was named a Howard Hughes Medical Institute Investigator in 2005. She received the Eli Lilly and Company-Elanco Research Award in 2008 from the American Society of Microbiology, and recently received the National Academy of Sciences Award in Molecular Biology for her "discovery of microbial mechanisms underlying geologic processes." She is a Fellow of the American Academy of Microbiology. "I was completely stunned when I got the call from the MacArthur Foundation," says Newman. "In science we fail and are rejected far more often than we succeed. This award provides very meaningful encouragement to keep taking intellectual risks, and to be tenacious in their pursuit. It is a direct tribute to the quality of microbiology and geobiology research at Caltech, which is fueled by our spectacular students, postdocs, and colleagues. I hope the attention that comes with this award will help us sustain our efforts in these areas for years to come." 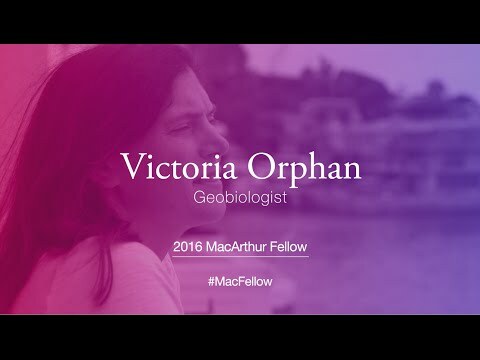 Victoria Orphan studies the molecular microbial ecology of anaerobic communities with a particular focus on microorganisms that live in deep-ocean sediment beds and consume large quantities of methane released from seeps in the ocean floor. 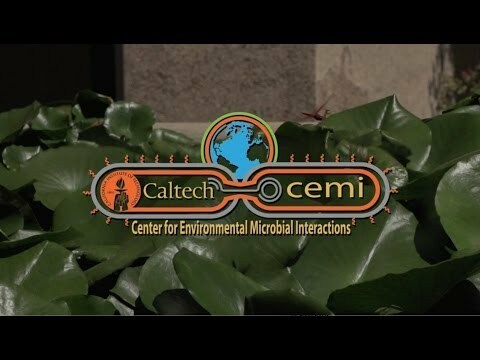 Because these microbes cannot be grown in the laboratory, Orphan has combined techniques from molecular biology and mass spectrometry into novel methods that enable the study of the activities of individual microbial cells, as well as the relationships among different microbes, in their natural environments. For the last two decades, Orphan's lab has focused on the relationship between a species of bacteria and a species of archaea that live in symbiotic aggregates, or consortia, within deep-sea methane seeps. The organisms work together in syntrophy (which means "feeding together") to consume up to 80 percent of methane emitted from the ocean floor—methane that might otherwise end up contributing to climate change as a greenhouse gas in our atmosphere. Orphan and her colleagues contributed to the discovery of this microbial symbiosis between anaerobic methanotrophs—"methane eaters"—and a particular sulfate-breathing bacterium. Recently, Orphan and her team discovered how this symbiotic relationship utilizes electrons to share energy, even when the organisms are not in direct contact with one another. The work was the first to document direct interspecies electron transport—the movement of electrons from a cell, through the external environment, to another cell type—in microorganisms in nature. Orphan received her PhD from the University of California Santa Barbara in 2001. She received an Early Career Award from the Department of Energy in 2010, a Presidential Early Career Award in Science and Engineering in 2011, and a Young Investigator award from the International Society of Microbial Ecology in 2012. Orphan has been a Gordon and Betty Moore Marine Microbiology Investigator since 2013, and she became a Fellow of the American Academy of Microbiology in 2015. "It is an honor to be part of the MacArthur Foundation's 2016 class and I am extraordinarily proud to share this recognition with my current and former students, postdocs, and collaborators and with my dear colleague Dianne," says Orphan. "Being recognized for this award as a geo-microbiologist is really a testament to how far the field has come in a relatively short span of time." Since 2002, 10 Caltech faculty (including Newman and Orphan) have been named MacArthur Fellows. Fellows are selected for their "exceptional creativity," defined by the MacArthur Foundation as "the drive and ability to make something new or to connect the seemingly unconnected in significant ways."